Here at Dunblobbin.com we receive some fantastic messages and photos from visitors, and some are just too good not to share! So please welcome the first post in our new Blobby Blog, which aims to bring you all the best news, info and fun from Blobbyland and beyond. Our first Blobby curio comes from Scott Harrington, a collector of British TV props and costumes in Essex. 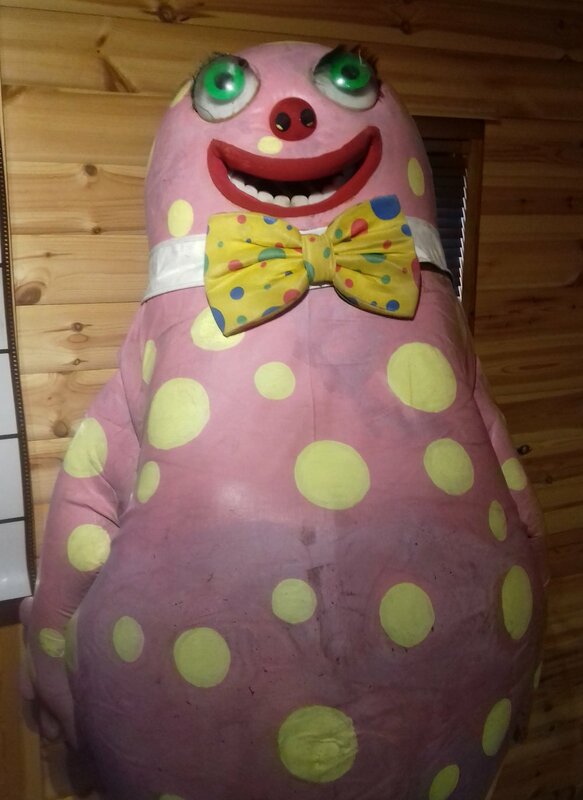 After being discarded by the BBC, this original Blobby suit ended up in Bonham's auction house and won by an American prop collector, before Scott snapped him up a number of years back. 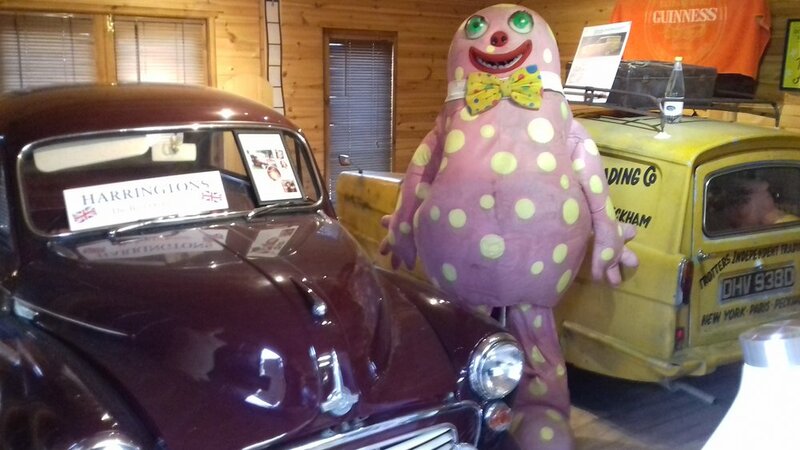 This Mr Blobby was one of the first three suits ever produced, and enjoys standing among other British TV legends such as Mr Bean's costume and Del Boy's van from Only Fools and Horses. While Scott's Best of British collection is privately owned, he one day hopes to display Blobby and company to the public to enjoy. If you have any Blobby-related stories or interesting items to share for the Blobby Blog, please get in touch. This site is no way affiliated, sponsored, supported or endorsed by Cricket St Thomas, Warner Hotels, Noel Edmonds or the Unique Group. Design and text (c) Dunblobbin 2019.